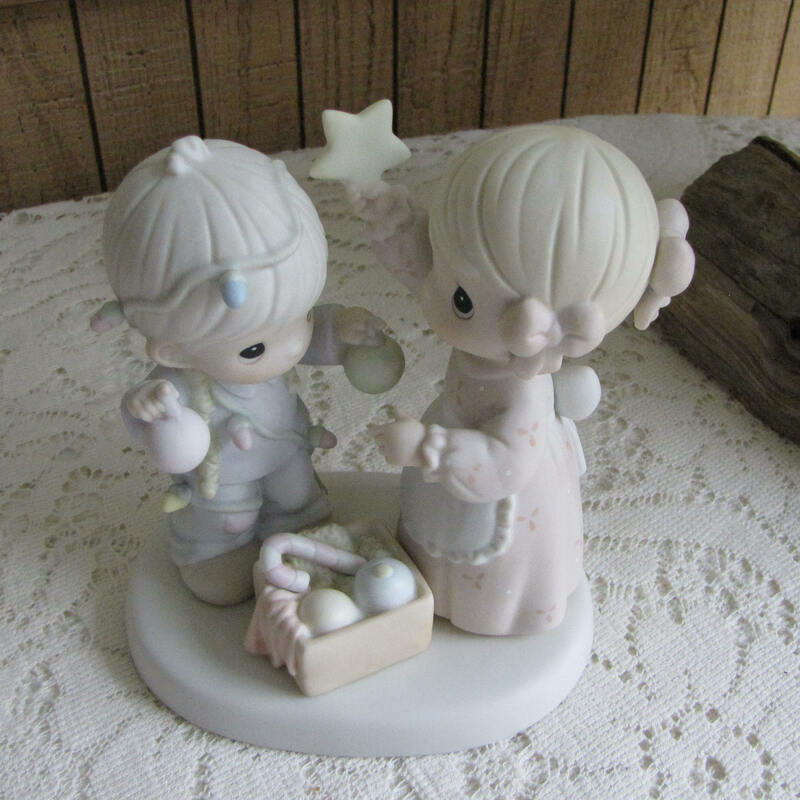 A little girl and boy pulling out the Christmas Ornaments! 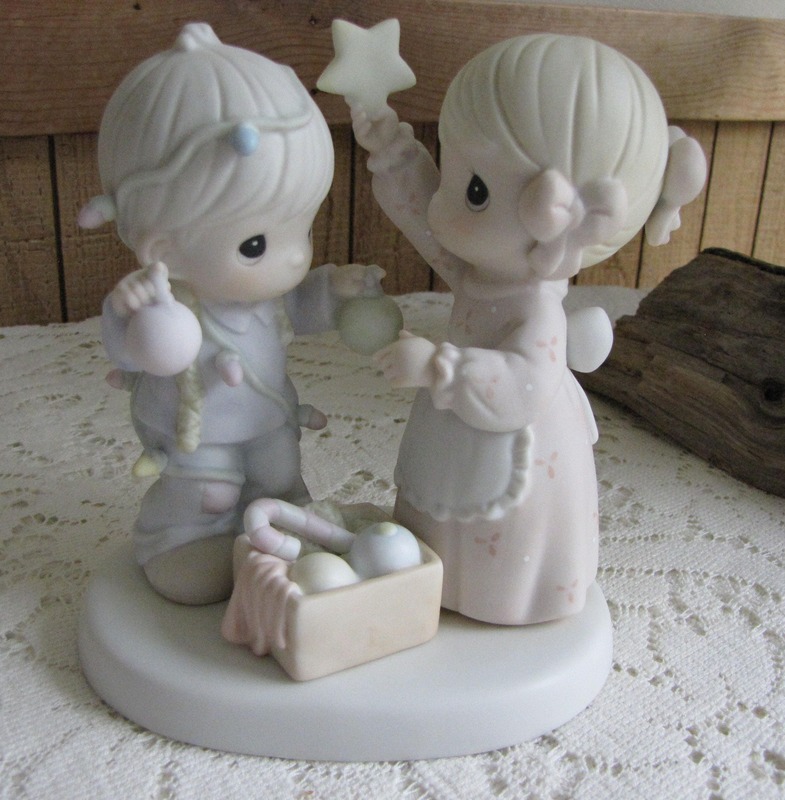 It is created in the original ceramic bisque and has been retired. 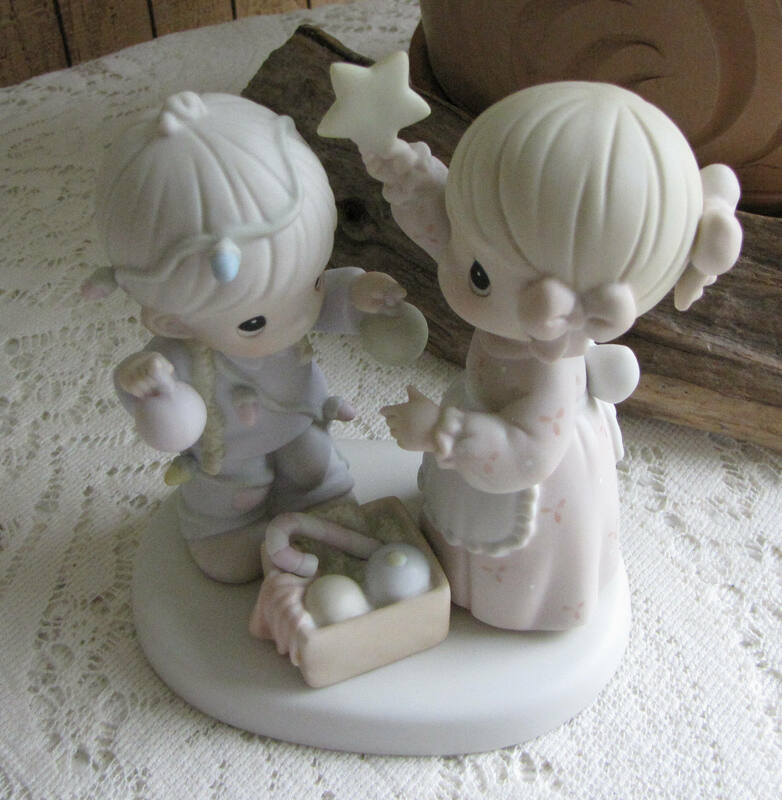 In very good vintage condition with no chips or cracks. 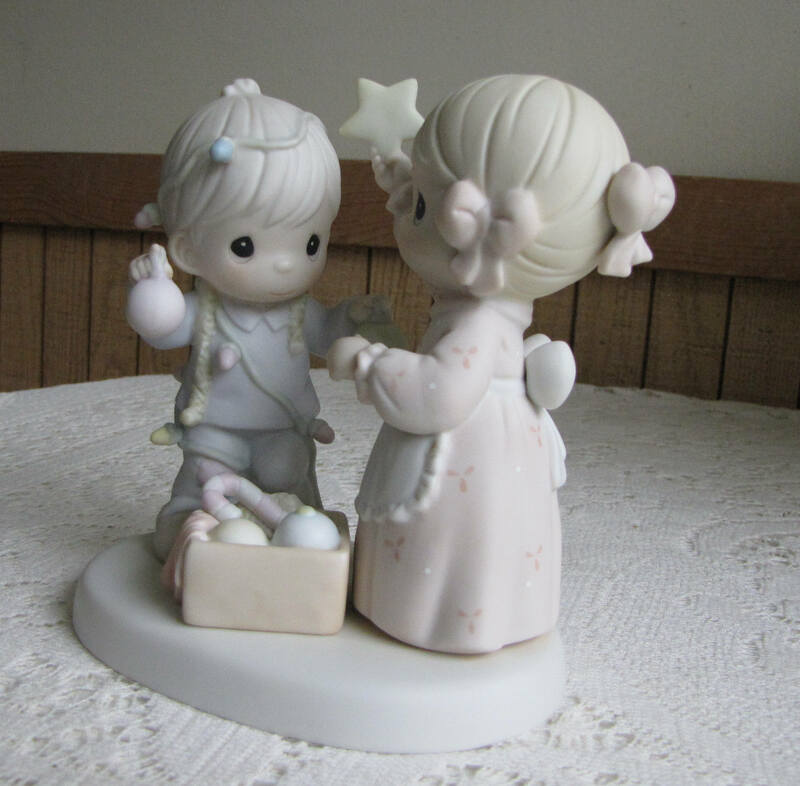 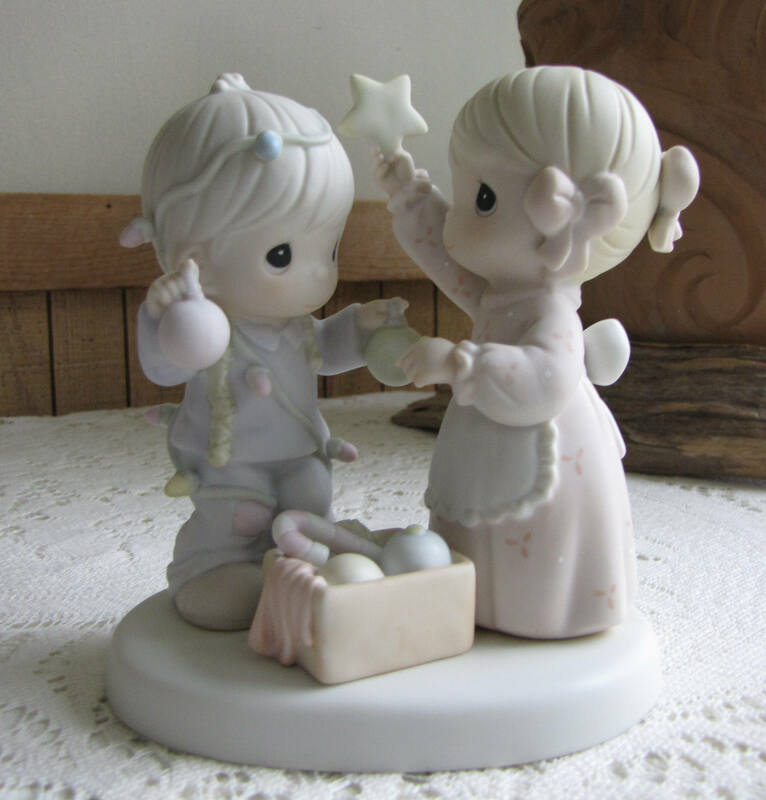 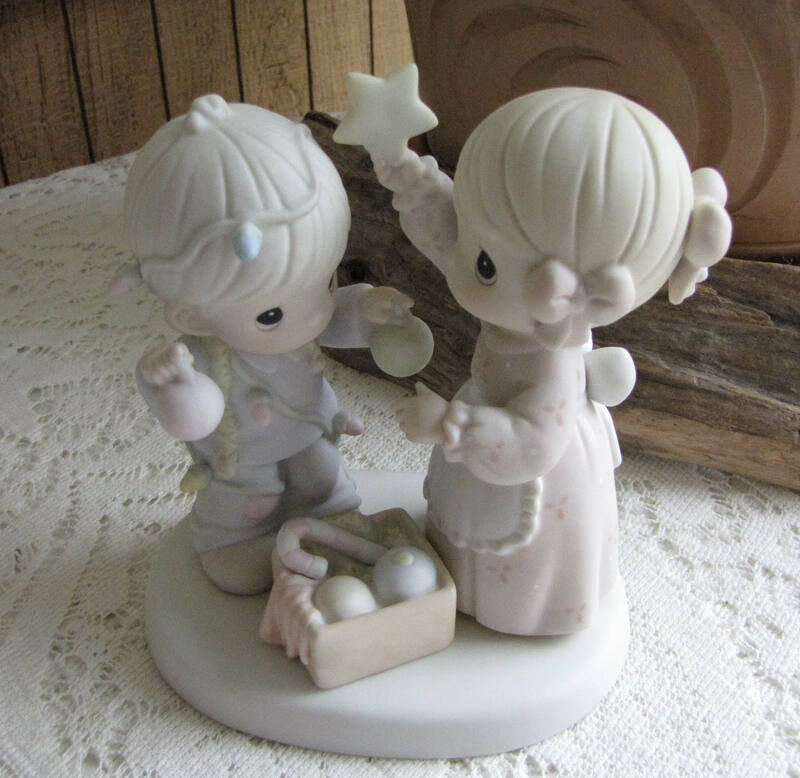 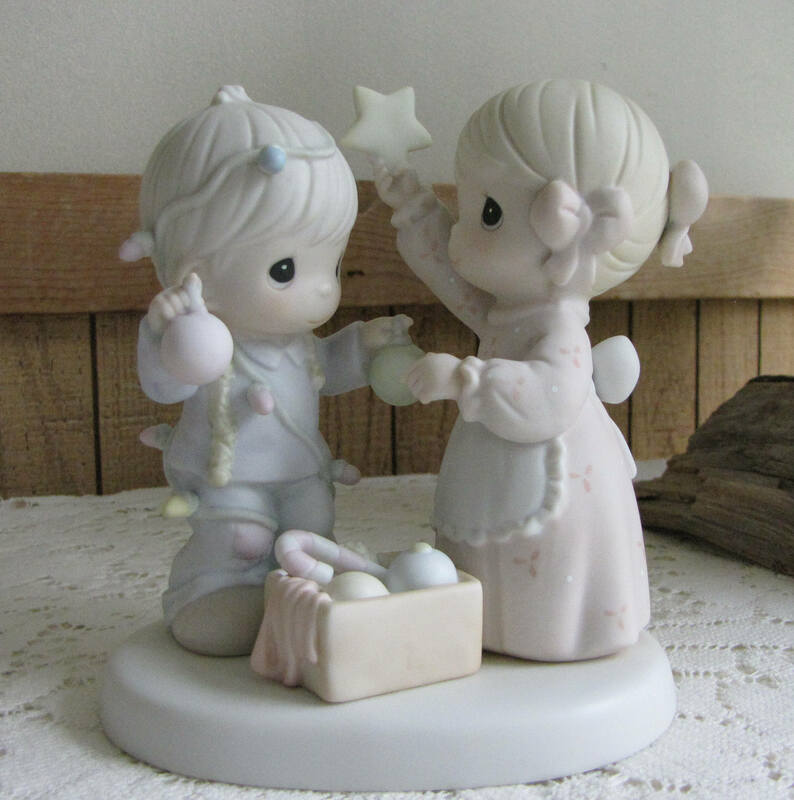 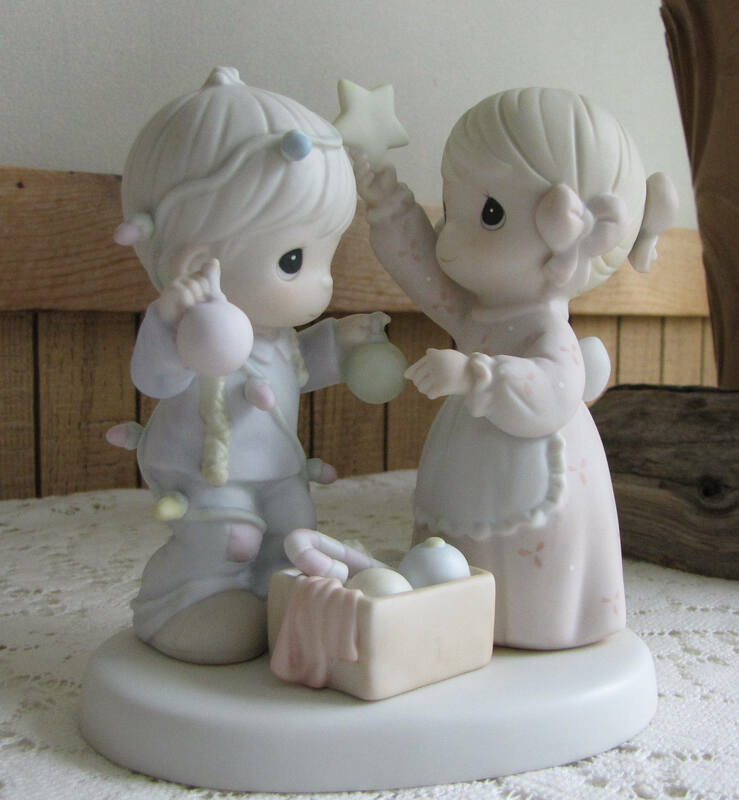 The You Are My Favorite Star figurine measures 5.5 inches tall and is about 4.75 x 3.5 inches at their base. 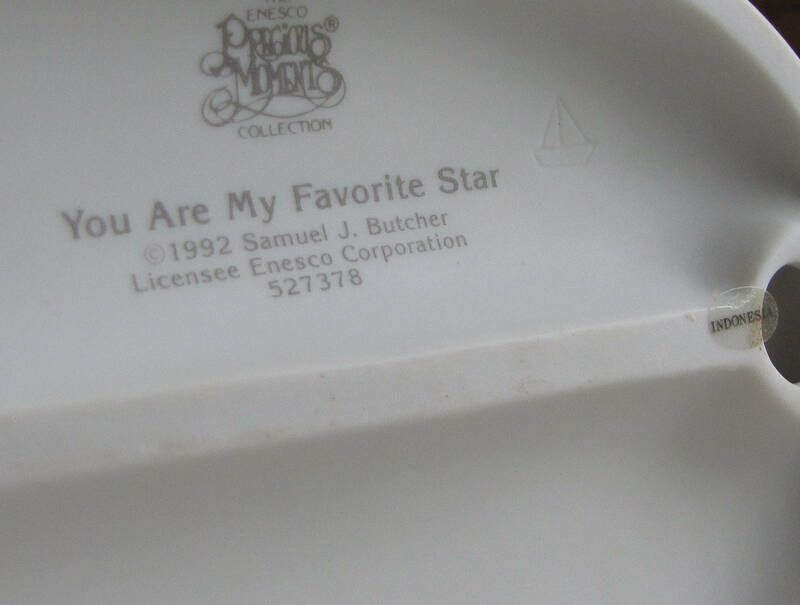 There is no box with this one. 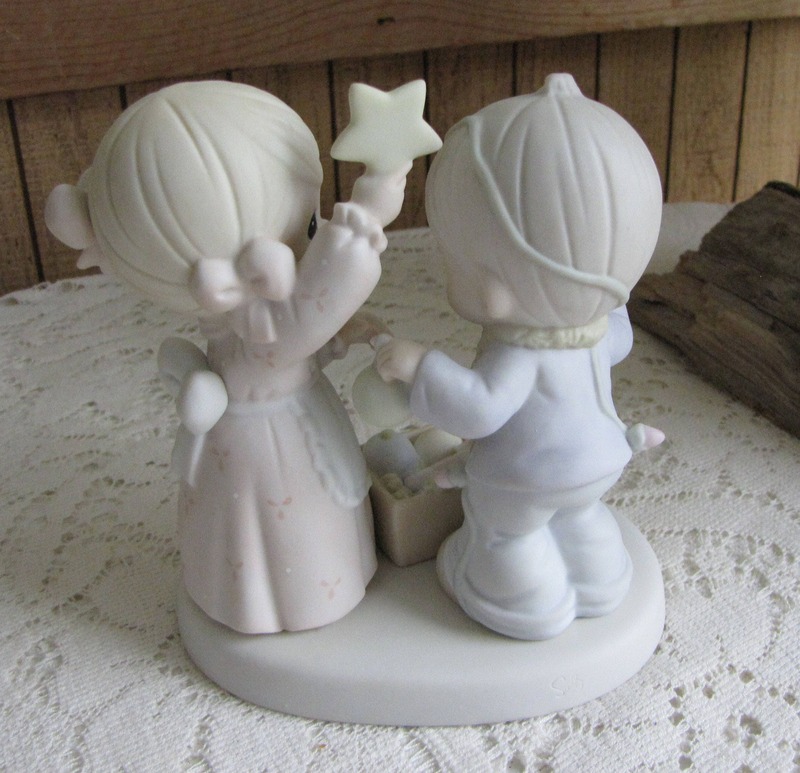 If you are interested in additional Precious Moments, message me for a discount.